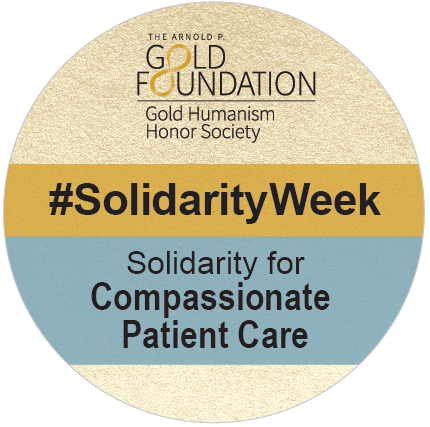 During the week of February 13-17, 2017, over 90 healthcare institutions nationwide celebrated National Patient Solidarity Week, an extension of National Solidarity Day for Compassionate Patient Care. 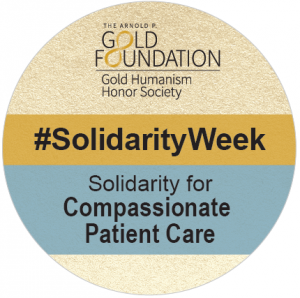 The events of Solidarity Week are designed to show appreciation and recognition to the dedication for providing patients with compassionate, patient-centered care. Events across the nation included participation in our Tell Me More® program, displaying signs of appreciation on posters, and handing out goodie bags and donuts. Originally developed in 2011 by the Gold Humanism Honor Society (GHHS) to highlight the nationwide movement promoting caring provider-patient relationships, personalization, and mutual respect, National Solidarity Day for Compassionate Patient Care has since become an officially recognized day on the national calendar following a Senate resolution in 2013 and 2014. “Patients light up when asked about their personal lives,” said Richard I. Levin, MD, President and CEO of The Arnold P. Gold Foundation. “This small act of humanity allows the healthcare team to connect with their patients on a personal level, and reminds the often-harried members of the team why they chose to go into healthcare.” Ultimately this program serves to to humanize patients, caretakers, and the entire healthcare community. If you are interested in learning more about National Patient Solidarity Week and how your institution can participate, please click here. 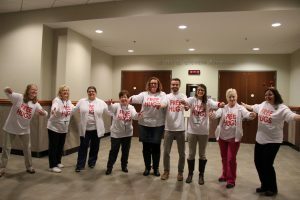 Caregivers at Lincoln Memorial University-DeBusk College of Osteopathic Medicine offered free hugs to patients and faculty alike, spreading the positive spirit of Solidarity Week. 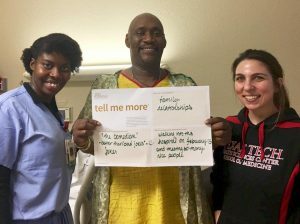 Students at Texas Tech University Health Sciences Center participated in the Tell Me More® (TMM) initiative, learning more about their patients’ lives. 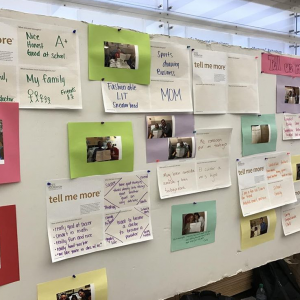 The University of Arizona College of Medicine prominently displayed patients’ TMM posters to foster appreciation for patients’ ideals, values, and humanity. 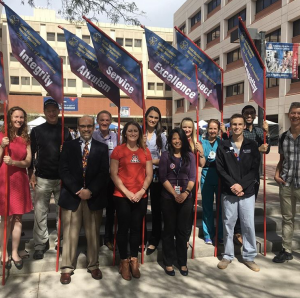 The healthcare community at the University of Arizona Medical Center promoted National Solidarity Week by standing together to recognize and exemplify the ideals and values highlighted during that time. 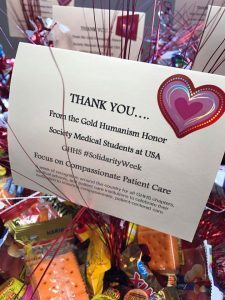 GHHS chapter members at the University of South Alabama College of Medicine distributed gift baskets to lift spirits and promote the message of National Solidarity Week.